“Africa is making huge economic strides – a vibrant, varied continent with a growing consumer base. With economic growth averaging nearly 5 percent, about 11 million people a year entering the workforce and a younger, better educated, population than ever before, surely, there are some positive things coming out of the continent. 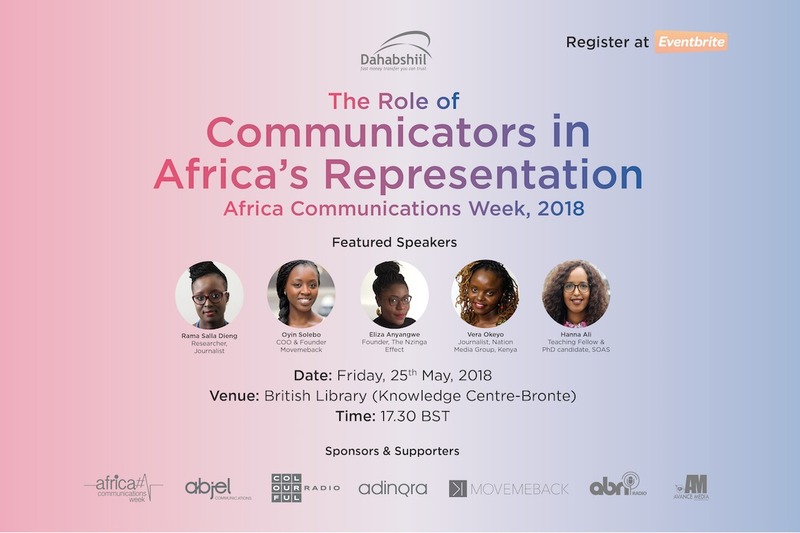 However, our inability to control or even influence who tells our stories makes it difficult to challenge and change the negativity that perpetuates in the mainstream script”, says Adisa Amanor-Wilks, Founder and CEO of Abjel Communications. 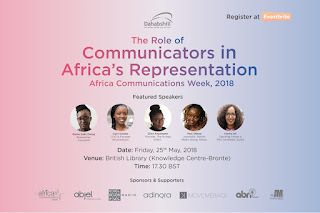 “Africa needs its home-grown communicators to own and tell stories out of Africa; to counter dominant stereotypical narratives whether in news and current affairs, advertising or entertainment. The London edition will be an interactive roundtable discussion aimed at sharing insights and arriving at some concrete steps in moving the narrative needle to a neutral and over time, a more positive outlook,” adds Mrs Amanor-Wilks. Dahabshiil, Adinqra Digital, Movemeback, Avance Media, Colorful Radio, British Library, ABN radio, CNBC Africa and Royal African Society.